The USGS has confirmed a 2.6 magnitude earthquake has struck near Archdale. 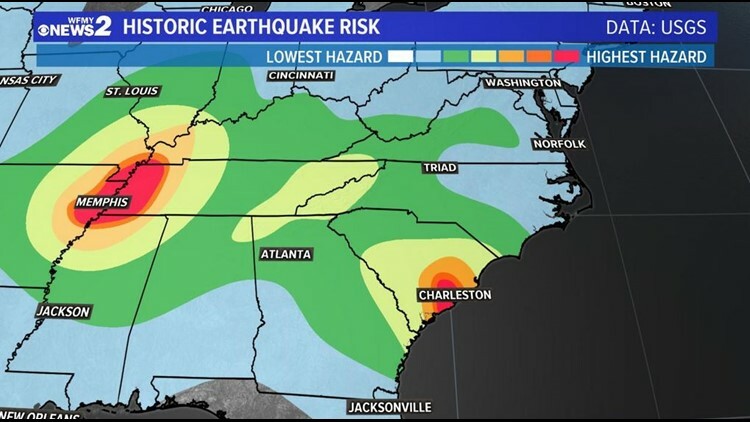 GREENSBORO, N.C. — Did you hear a boom or did you feel your house shake in the middle of the night? It was an earthquake. The United States Geological Survey (USGS) has confirmed a 2.6 magnitude earthquake has struck near Archdale. The shaking happened at about 12:32 am. Many reported feeling and hearing the quake from their homes in Guilford and Randolph Counties. Viewers have described a long, booming sound and that it was strong enough to shake the whole house in some cases. The USGS initially reported the earthquake as a 2.2 magnitude. The intensity was revised Tuesday morning upward to 2.6. The epicenter looks to be near the Guilford/Randolph County border. Some people felt the earthquake as far away as Raleigh and Charlotte according to a USGS map. Guilford Metro 911 posted on their Facebook page: "Today, at approximately 12:30 am, we experienced a rapid influx of calls from people reporting a loud "explosion" they heard in their area. It has been determined that this was a result of a 2.2 magnitude earthquake according to the USGS." 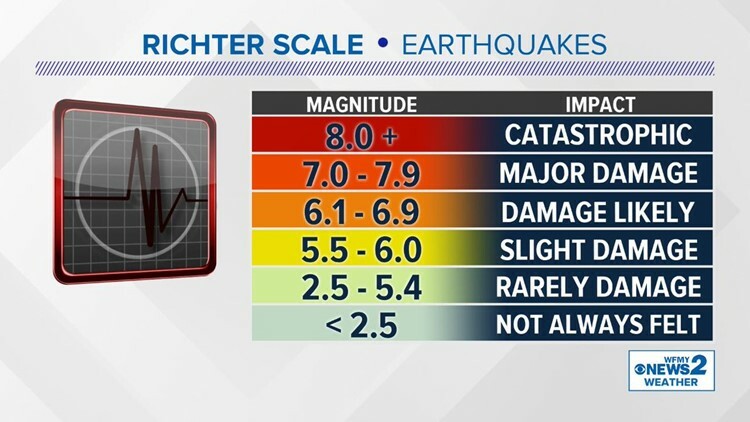 Did you feel the earthquake or do you have any damage? Please let us know on our Facebook post. You're encouraged to report what you felt and damage to the USGS. Click here. Are earthquakes rare here? Yes, but they can happen occasionally. Here's the historic frequency from the USGS. On average, North Carolina typically sees a handful of earthquakes per year. Typically, they're small. In recent years, similar earthquakes to this one have been reported more commonly in the NC mountains. Typically, earthquakes around this magnitude aren't strong enough to produce damage. However, if you felt some significant shaking, it's best to check to make sure. If you find anything, make sure to report it. Typically, earthquakes weaker than 2.5 do not cause any damage. Stay with WFMY News 2 for more updates on this developing story.